Type 47 Liquor License for Sale from License Locators, Inc. In California, liquor licenses are fully regulated by the Department of Alcohol Beverage Control, or ABC. The Department of Alcohol Beverage Control can create a lot of obstacles, red tape, and general challenges that make procuring a liquor license very difficult. In addition, California caps the amount of liquor licenses that are permitted within the state. Even different counties have a set number of licenses allowed for issuance, which only steepens the competition. For all of these reasons, obtaining the liquor license you need can be a harrowing task. Because there are a limited number of licenses available, the licenses are in the hands of private sellers who were previously issued an alcohol permit. If the market is not in your favor—that is, there are many more buyers than sellers—you will find yourself trying to buy a Type 47 license at astronomical prices. The process of buying a liquor license can take up a large amount of your valuable time and resources. California can be a difficult state to find a viable license that will be listed at a fair price, It can be difficult to find the right license at a fair price in California, and the process of buying requires a lot of paperwork. This means that even after you finish scouring your area for the right license, you still have to take time out of running your restaurant to handle the details before you can begin serving alcohol.. Many first-time liquor license buyers become frustrated and distraught when faced with a competitive buying market. Without help, buyers may find themselves looking for months in a market where licenses may cost well over a million dollars. Fortunately, License Locators is here to help. We are driven to help buyers such as yourself find the liquor license they need to secure the financial future of their restaurant. We are prepared to help you at every turn and answer any questions you might have about the process. Let us take care of all of the complicated work for you so that you have more time to devote to your business. How is a Type 47 Different from Other Liquor Licenses? The state of California enforces specific rules and regulations regarding the alcohol licenses it provides. It’s essential you know the difference between the various types of liquor license. Consider the kind of establishment you plan to open. For example, perhaps you own a restaurant in which you plan to serve only wine tastings, or alternatively you may own a brewery and you only desire to serve beer and beer flights. In either case, if you plan to open a restaurant in which you plan to sell beer and wine but not liquor, then the Type 47 liquor license is not what you are looking for. The Type 47 license is meant for those who seek to serve beer, wine, liquor, and spirits to be consumed on the premises of the restaurant. The Type 47 license is also known as a full liquor license because it offers all options. As you might imagine, with so many establishments in need of these licenses to offer the menu they desire, it is no wonder that prices can reach dizzying heights. Using a brokerage service like License Locators is generally the best bet in finding the appropriate license that will fill your restaurant’s needs. Type 47 Liquor License: Also known as the on-sale liquor license, this permit allows the proprietor to sell all legal beers, wins, liquors, and spirits. With this license, guests are allowed to consume beverages on site, as well as take sealed containers of alcohol off premises. Type 21 Liquor License: The Type 21 liquor license, commonly referred to as the off-sale general license, allows a proprietor to sell any type of alcohol beverage, including beer, wine, spirits, and liquor, in a sealed container so long as it is consumed off the premises. This license is most commonly bought by liquor stores. Type 41 Liquor License: Sometimes referred to as the on-sale beer and wine license, this type of liquor license allows the restaurant to sell both beer and wine only and excludes liquor and spirits. These establishments can also sell sealed containers of beer and wine to consumers who intend to consume these beverages off of the premises. 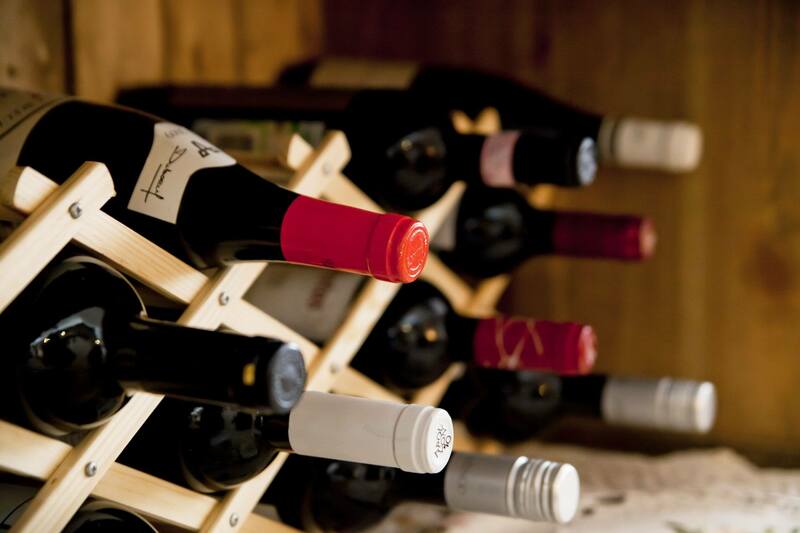 Type 20 Liquor License: The off-sale beer and wine: This type of liquor license type allows the establishment to serve beer and wine in sealed containers that may only be consumed off-site. Type 40 Liquor License: This license is known also as the on-sale beer license because it allows proprietors to sell beer to guests that may be consumed on or off the premises of the establishment. What’s the difference between an on-sale and off-sale liquor license? On-sale licenses are required for any business that wishes to serve alcohol on, but not off, the premises. This means that the business must not allow alcoholic beverages past a certain point at their business. Establishments such as bars, clubs, restaurants, restaurants, museums, theaters and any other propriety must carry this license to serve alcohol on site. On-sale licenses also apply to planes, trains, and boats. On the other hand, off-sale beer and wine licenses are meant so establishments may sell sealed containers of alcoholic beverages that may only be consumed off site. Off-sale licenses may also apply to importers, producers, or wholesalers that sell any type of alcohol. If you need help understanding which license is best suited for you, consult our experts at License Locators and we will be happy to assist you. How Much Does a Type 47 Liquor License Cost? Unfortunately, there is no up-front answer to this question. The price of the license you want is determined by many ever-changing factors, such as the current market value and the competition among buyers. Depending on the license you want, you may see yourself paying anywhere from a few hundred dollars to millions of dollars. Of course, liquor licenses in the millions are not necessarily common, but the price will have a lot to do with where and when you are buying. If you are trying to open a mom-and-pop pizza shop in middle class suburbs, for example, your prices will be a lot different than the price of a license in downtown metropolitan areas. In addition, procuring a liquor license is a difficult and time consuming process. You may find yourself dedicating countless hours of your time finding and finally going into escrow to get your liquor license. This is valuable time you could be investing in tending to your restaurant or eatery. It may take anywhere from sixty days to well over a year to get the liquor license you need to progress your business. If you want to gain a profit fast, you will need someone with you to help sort through the busy work. The Type 47 liquor license tends to be on the more expensive side of the scale when it comes to liquor license cost. This is because the Type 47 license allows for the sale of all manner of alcoholic beverages, and thus grants freedom to attract more guests. Many establishments such as restaurants, bars, and clubs that serve food and alcohol require this license. This is where License Locators can help. No matter whether you need a license for beer and wine or you need a more prestigious license like the Type 47 liquor license, License Locators will help you in your search by using our expertise to weed out the competition and find the best license for you at a reasonable price. Let our professional help you at every step of the way to make procuring a license a seamless experience. Not only will we help find you the right seller at the best price, but we will also aid you through escrow, and happily answer any questions you might have along the way. In order to obtain a Type 47 liquor license, you must first go through a long and arduous process. You must first consult your local Alcohol Beverage Control office. The ABC is equipped to answer any questions you may have regarding the application process. The ABC may also aid you in determining which liquor license you need for your restaurant, eatery, bar, club or other establishment. They will respond by asking you questions and provide you with information regarding how to gain approval from zoning officials, how to open an escrow, and how to get a copy of a Notice of Intended Transfer. When you finally file the application at the ABC district office, you will likely have to show up with all parties to provide all personal information and payment fees. You may receive a temporary permit in the interim period before your application is fully processed. Once the ABC receives your application, they will then send a copy of your application to the local officials as it is required by law. Your application will go through several branches within the local government, including the police department, city planning department, and city council. In addition, if your establishment is within a county, a copy goes to the sheriff’s department, district attorney, and board of supervisors. This is where some proprietors run into difficulties. Sometimes, there may be a dispute that arises in these branches, and they may file a protest against your procurement of a license. In any case, the ABC will always perform an investigation to ensure whether you qualify for a liquor license. There are certain requirements the ABC makes of you when you decide to apply. For example, you will be required to post a Public Notice of Application in your establishment for the first thirty days. The ABC might also require that you publish a notice in the local newspaper, to notify others who live within a certain distance of your new licensure and show proof from the planning department that your zoning permit was accepted. This process can extend for long months, especially in cases of public protest. Working with License Locators means employing the help of seasoned professionals who can provide invaluable advice throughout the process. Our team is dedicated to expediting the process as much as possible, providing you with the beer and wine license you need sooner. Once you obtain your liquor license, it is your responsibility to make sure you are up to date with the renewal of your license each year. You should receive a notice from the Department of Alcoholic Beverage Control, but even if you don’t you are still responsible for renewing it before the expiration date. In the case that your license does expire because you haven’t paid, you may remain in operation for up to sixty more days, but you must pay a late payment fee in order to continue with your license. Should you abstain from payment, your license will be cancelled and you cannot serve alcohol. In this case, you will be charged a one hundred percent penalty, and you will have to pay it within thirty days in order to reactivate it. Perhaps you are not a buyer and instead you’re looking to sell a liquor license. If this is the case for you, License Locators is here to ensure that your liquor license is sold in a reasonable amount of time with minimal hassle. Our services guarantee that we can sell your license in a fraction of the time it would take you to sell it on your own. Even if the market is in your favor, setting your license at the right price, finding the right buyer, and going through all of the paperwork can be enough frustration on its own. Whether you are selling an on-sale or off-sale license from your liquor store, gas station, restaurant, eatery, winery, brewery, club, or bar we have the expertise to take out all of the hassle for you. From the moment you go on the market to when you sign the dotted line, we will be there every step of the way to make sure your license gets transferred safe and secured. Selling a liquor license can be a frustrating process on its own. For the less experienced, finding competent buyers who will negotiate a fair price might be hard to come by. In addition, the quality of buyers will ebb and flow over time depending on fluctuations in the market. Don’t waste time sifting through buyers when you could be using that time to gather your profit. Our professionals at License Locators are dedicated to finding the right buyer who can pay a fair price on your liquor license, without any deficit to you. Our experts at License Locators are well versed in everything having to do with the ABC rules and regulations. We are prepared to handle every task in an ethical and professional matter, to make sure all transactions are above board. Should you have any questions, our professionals are ready to help you understand all parts of the liquor license transfer process. Avoid wasting time, hurdles, and more by consulting with License Locators. We will get your license transferred successfully with little work from you. Waste less time searching and more time on your other tasks by using License Locators. We specialize in providing escrow services to our clients in the state of California. 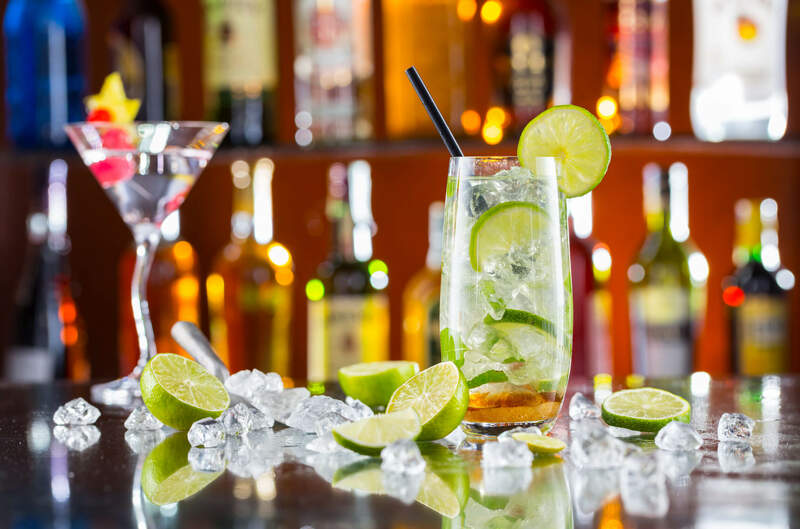 We understand that California’s liquor licensure laws are unique and we seek to navigate these laws professionally in order to provide the optimum buying or selling experience for our clients. The professionals at License Locators are well versed in analyzing the current trends in the market in order to synthesize a strategy that will best fit your needs. We want to make the most out of your experience, ensuring you purchase the right license or sell a pre-issued license as quickly as possible. At License Locators, we understand that different establishments have different needs. With the variety of liquor licenses available, we know that choosing the right license at a reasonable cost can be a time consuming and trying process. We have experience with a vast array of clients, from mom-and-pop establishments to expansive corporations. Throughout the years, we have had the pleasure to make hundreds of customers happy with their result. From start to finish, we will help you decide which license you are looking for and communicate a strategy with you to find the license you need or wish to sell. We will communicate with you through the entire process and we are more than happy to answer any questions you may have. Don’t waste months to obtain the liquor license you require; instead, let License Locators streamline the process so you can get your business up and running. When it comes to liquor licenses, we have done it all. Our years of experience have led us to become familiar with every unique scenario, and we are prepared to professionally handle every hurdle for you. 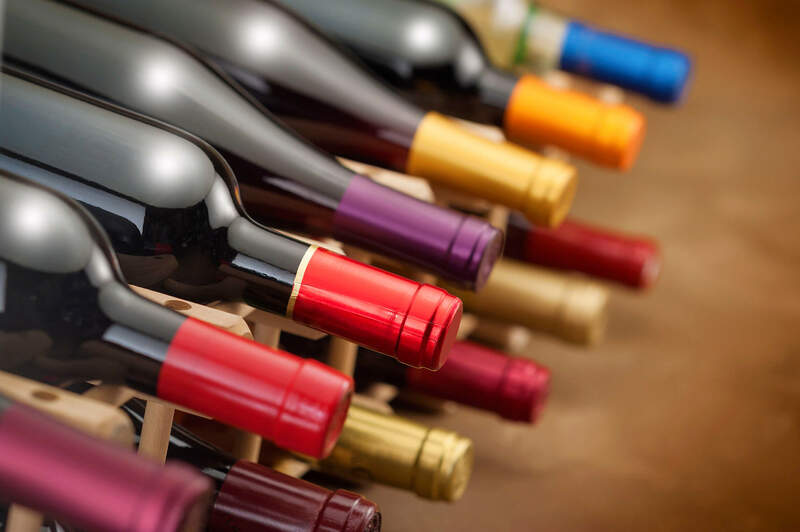 Whether you need an off-site beer and wine license, or a full Type 47 license, we know how to perform brokerage services with ease in California. Whether you are on the hunt to buy a liquor license, or you are seeking help to get a license off of your hands, License Locators will be there to strategize the best value to maximize your buying or selling price. We are prepared to aid you in the process from beginning to end so that you may get your business off the ground and running. No matter the type of business you hope to run, we will play an integral role in getting the best price possible so that you can begin to make a profit. No matter the industry, we play an integral role in helping business owners get the right liquor license for the best price possible, paving the way for profitable success.